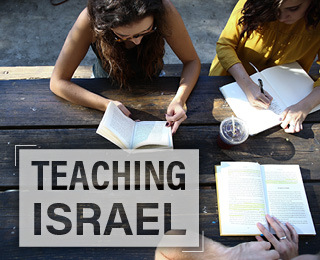 Come use your skills and your passion to make a difference in the lives of the people who support Israel. Internships are an incredible way to expand your professional experience. 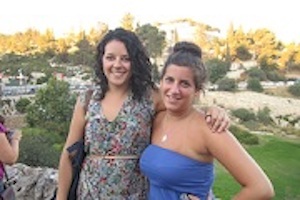 As an intern with Israel Forever, you will be actively involved in the fulfillment of our mission to connect Jews around the world with Israel. Opportunities are available in our main centers of Washington DC and Israel, or as a part of our "virtual office" from your corner of the world, allowing our team to reflect the international nature of our global community. So join us and share your passion, your creativity, and your voice for Israel Forever! Join Our Team with the Internship that is just right for You! As the assistant to the Executive Director, you will be involved with administrative, communication and development tasks such as: assisting with various aspects of management communications and email correspondence, organizing files, scheduling on behalf of the Executive Director, conducting research and writing preliminary drafts of content, engaged with strategy building and some logistical development of program development. This internship will be focused on expanding your talents in development of marketing and communications messaging, campaign development, and outreach efforts for the continued promotion of Israel Forever initiatives, content and events. In this internship you will be involved in the creation and implementation of both new and existing programs and initiatives, research and writing of content that fosters experiential and interactive learning and connection, the identification of potential programming partners, and potential avenues for programming promotions. This internship will involve the conceptual and creative development of promotional materials, marketing collateral, program fliers, campaign graphics, and social media images as needed by the members of the IFF team. With this internship, you will not only be able to hone your skills at writing and representing the needs of the foundation, but you will be actively involved in reseraching innovative grant opportunities, recruiting potential donors, initiating fundraising campaigns, establishing fundraising outreach efforts, and learning the ins and outs of fostering healthy donor relations. The Social Media Intern will be involved in building, maintaining and increasing awareness of content by distribution through social media channels. This may include the development of original social media campaigns, or the promotion of existing campaigns, and the discovery of any campaigns worthy of highlighting through IFF or with whom partnership should be considered. The Photo Editor Intern will be involved in research, selection, editing, positioning and publishing photos for new programs, initiatives and the Israel Album Online Gallery. Special care is taken to ensure the foundation avoids copyright infringement at all costs. This internship will allow you to utilize your passion for video compilation and editing to create clips that will promote the mission and message of Israel Forever. For more information, or to apply for an internship position, please email us at info@israelforever.org your CV and why you would be a perfect fit for IFF! 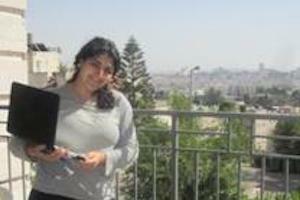 Supervision will be conducted by members of the IFF Team as is suited to your preferred location in Israel, Washington DC, or in our "Virtual Office," and as it relates to each internship position. Your supervisor will help in the creation of established work product goals and a targeted work plan and calendar. 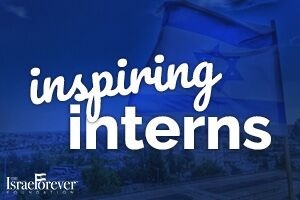 Interns will receive full recognition for their contributions and creations, and will be acknowledged as members of the Israel Forever team. Letters of recommendation will be provided for all interns based on their levels of productivity, professionalism and effectiveness.